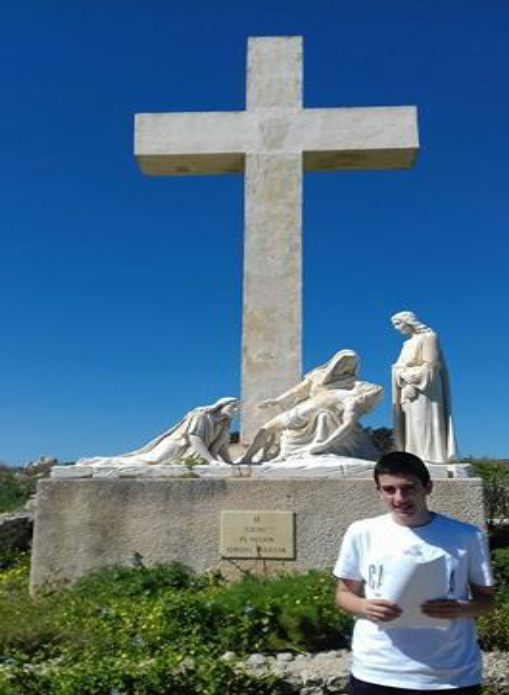 Last Sunday 12th March, students of Stella Maris College, Gzira along with some members of the school staff and a number of parents, decided to participate in a Via Sagra in Gozo. This event is held annually by the school as part and parcel of Lenten activities. It happened to be a fantastic day with the bright sun shining and basking everything with its warm inviting light. It was a welcoming contrast after all the cold and rainy days. Once we arrived in Gozo by the ferry from Cirkewwa, we headed to Rabat by coach. From there, the walk to Ta’ Pinu sanctuary, turned out to be a short and pleasant one which certainly got our feet working. As we got there we were in time for the 11’o clock mass. After mass ended we had a short break, eating and chatting away, while some of us listened to music and others were busy preparing and going through the Via Sagra, which was to take place right afterwards.